Some countries ban the use of VoIP applications. Read on to know why and how a VPN can help you get through. Not so long ago, making calls was a hassle. You had to have a landline physically connected between the two parties partaking in a call. The availability of the other party was an absolute must. You couldn’t just put the landline phone in your pocket and move around. Long distance calls on the other hand were another beast altogether—so much so that you had to take a long series of steps just to be connected. First of all, the dialer needed to connect to the local operator to request a call to the receiver. The local operator then had to connect to the receiving area’s operator to make a request to open a call for the receiving party. Here, the other operator would then call the receiving party to get a hold of them, telling them about the incoming call from the dialing party. Once both the operators had both parties online, they would connect the call. Oh… then there was the case if the call needed to be routed from another area. Did we forget to mention that the operator had to manually check call rate charts to charge the call accordingly? You can well imagine the infrastructure required to make this all happen, resulting in a high cost of long distance calls. People were connected, by their hearts alone. Writing letters was, instead of calling, a fun hobby and favorite pastime among friends to stay connected. This later changed by the introduction of digital exchanges. The human operator was removed from the picture, however the setup still remained as well as the high cost. All that changed when the internet started becoming commonplace. Voice was treated as digital data and was sent over the internet as an experiment. VoIP was born. Voice over Internet Protocol is any kind of technology or method where voice is sent/received by using the internet. Telephones were identified over a network by their telephone numbers. Any device connected to the internet is identified by a number as well, known as an IP address. This was the initial identifier for the target of the data sent through the internet, along with an ID of the software that this data was for. This was the basis for applications like Skype, Viber, WhatsApp, Messenger and many more like it. These days, VoIP is so commonplace that people everywhere use it without even knowing the term. The first ones to use this technology were the big corporations who connected our calls. They transferred the heavy load of calls to the internet. The exchanges were digitized and long distance routing was done through the internet. This made calls, and eventually long distance calls, cost-efficient. Then when the popularity of smartphones put a smart device in almost everyone’s hand, the VoIP-based technology really thrived. Apps like WhatsApp, Viber and Skype connected everyone. People no longer remained bound to the telecom industry to be connected. They were using text messages and voice calls to whoever they needed, provided they had two things in common—an internet connection and the same app. The cell phone liberated us from the cord, obviously. But we were still connected wirelessly to our GSM provider. You had to have roaming enabled to move across local borders in earlier days and then later on across international ones. VoIP set us free. You only need an internet connection to be able to connect to anyone through your Skype, Viber or WhatsApp. All you need is a device which allows you to install these apps, be it your smartphone, tablet or laptop and internet connectivity. Another benefit that came from this was the creation of a single identity throughout the entire world. You could ride your way to the end of the world and still, your friend would be able to connect through your “soldier764lyfe” login name across different borders. The new world is full of privacy breaches and governments peeking into where it is none of their business, your internet life. Okay, these are the good guys supposedly, even the bad guys are interested in keeping inventories of your stolen data. 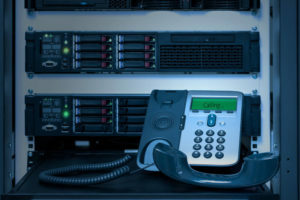 VoIP calls are encrypted and secure. Hackers and even governments have no way of knowing what is being transferred during a call. This is why governments pass bills and ask backdoor entries to gain access into different social media apps for security purposes. 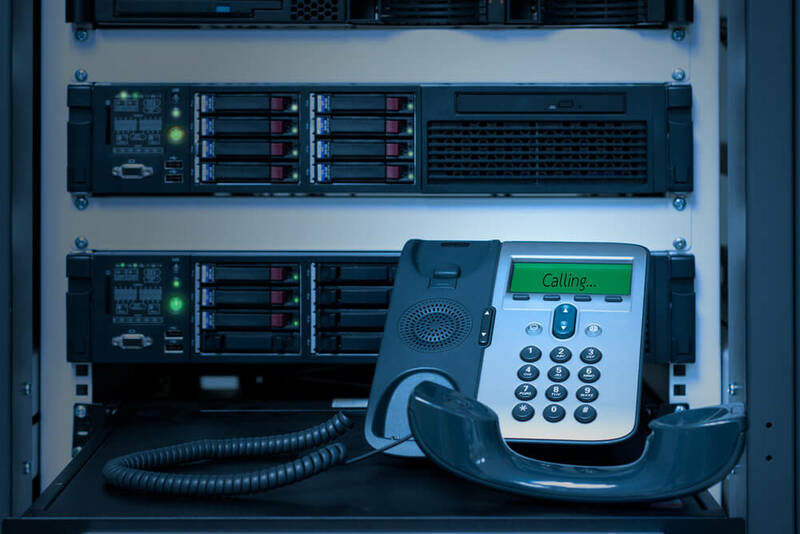 The best of all the features would be the economic cost VoIP provides. You no longer have to pay $2.68 per minute to talk to somebody in Sweden while sipping a piña colada in Hawaii. The calling cost is different for different destinations. It could go from $.1 to upwards of $2 or more. VoIP provided us with almost free calls, as long as one is connected to an internet connection, be it Wi-Fi or 4G (5G in the future). It also saves on the infrastructure cost of setting up phones for offices. You no longer have to buy packages for all the phones in the company, let alone connecting them through cable whether they are on multiple floors. And forget about appearing to be at the same place when you have offices in multiple blocks. You can now simply have IP phones that connect over a Wi-Fi network and an internet connection in the whole office. Geo-restriction policies impact a huge population at the same time and are one of the reasons why services like VPNs are finding a huge market to thrive in. These benefits, while great for the common people, proved to be a little headache for some governments around the world. The low cost meant that local telecom businesses had very tough competition, one which they would not be able to match, much less beat. It also meant a slice off from the tax the governments were going to receive from that revenue. The tight security and encryption meant that governments could not have a look into what was going on in these calls. Some governments thought it was a bad idea having these apps around because it would hurt the business of app developers by having such competition. This did not go well with the censored internet policy of some countries. That is why, either because of one or a combination of more than one reasons mentioned above, VoIP-based apps are banned in some countries. This blockage of the internet or internet-based services depending upon the location is called geo-restriction. 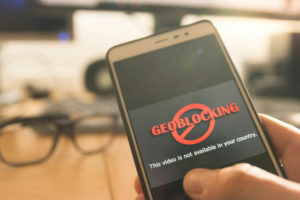 Geo-restriction policies impact a huge population at the same time and are one of the reasons why services like VPNs are finding a huge market to thrive in. A VPN or a Virtual Private Network is a network which exists completely on the digital plane. It is a private network within a public network. Through this private network, users are able to connect with each other as if they are physically connected to the same network while actually being far away. The information transferred between users of the network is through a server which encrypts data so that it is secured from outsiders. Having multiple servers means that users of the network could appear to be coming from different servers’ locations, while actually being somewhere else. This is what becomes the basis for VPN services to lift the geo-restrictions for their users. Keeping your location secret: With the help of their multiple servers, you can choose to be appearing from anywhere you want (as long as there is a server based in the area). This makes tracking you almost impossible and enables you to enjoy services offered in other areas. Keeping your data secure: VPNs help you keep your privacy in-tact with the help of specific encryption servers. High-quality VPNs pay special attention to security and encryption, and employ state-of-the-art encryption techniques. Better quality of connection (conditional): Data throttling or an internet bottleneck has been mentioned enough times these days to make users question whether they are a victim of it or not. In it, your internet service provider, while monitoring your data traffic, chooses to provide you with more speed or less, depending upon its own interests. Using a VPN secures you from that and helps you have a better connection. That is one aspect, the other one being connection quality, that usually depends on the quality of service provided by the VPN. Most VPNs are able to provide the basic facilities. But like anything in high demand, the market is saturated with products that are mediocre when it comes to specific tasks and high quality of service. Especially when it comes down to tackling the problem of unblocking access to services which a huge corporation or even state like China or Russia is actively trying to restrict you from accessing, you can only rely on the very best. This U.S.-based service provider specializes in speed and peer-to-peer connectivity. It is flexible for its users in the aspect that you can use any platform you want to connect to it. It has more than 40,000 IP addresses and with the help of 850 servers, you can appear to be from anywhere between the 60 countries they are located in. Unlimited bandwidth for file sharing. CyberSec for blocking spam, ads and harmful websites. ExpressVPN provides premium services and has over 2,000 servers in more than 90 countries. This VPN provider excels at focusing on the overall well-rounded quality of their services. From the days of manually connecting calls to now picking up and dialing someone passing the great Sahara, not knowing where they would be, the discovery of VoIP helped connect the world together. VPN, in a similar fashion, is the technology that is now safeguarding this connection and more in terms of privacy and security.